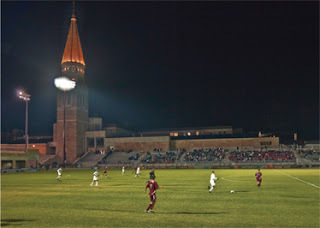 The DU Men's Soccer team lost at CIBER field for the first time in almost two years tonight in a thrilling 1-0 AET NCAA Tournament second round match with SMU. In the 94th minute, a long SMU throw-in found Stanton Garcia in a dangerous spot in the box in front of the net and he buried his only shot of the game to end the Pioneers' season. "When we got into overtime, I immediately wrote down my penalty-takers because I thought it was going there," SMU coach Kevin Hudson said after the game. "We generated a chance down low and we put it in a dangerous spot and [Garcia] tucked it home." The Pioneers controlled much of the play through the first 90+ minutes. SMU generated a few chances, but it was DU who asked more questions of SMU's back end. The Pioneers outshot the Mustangs 14-9 in the game, and generated 13(!) corner kicks, 8 of which came in the first half. There was a stretch of play in the first half when it seemed inevitable that DU was going to break through and get on the scoreboard, but the Mustangs defense held on at the last second nearly every time and kept the ball out of the net. During this stretch, DU had 5 or 6 corners in a row but they just couldn't find anyone on the end of the cross. SMU was able to generate a few decent chances in front of DU's net, but still went into halftime without forcing Pios goalie Dan Jackson to make a save. The only genuine chance the Mustangs were able to muster clanged high off the crossbar giving the 1,013 fans in attendance a jolt, but the ball stayed out and the score remained tied. The second half was a bit calmer than the first half was, but Denver still controlled most of the play during the second 45 minutes. Both teams' defenses remained strong and stopped every chance either team generated. Even as regulation was coming to a close and both teams were sending more long balls into the box, defense reigned supreme and extra time seemed inevitable. In the last 10 minutes, the Pios nearly broke through with a goal a few times, but just missed the target by inches every time. At one point, the ball fell to Karsten Hanlin's feet just inside the penalty area and he took a shot, but it sailed just over the crossbar. Soon after that chance, a Kenny Akamatsu corner found Jordan Schweitzer at the far post but Schweitzer's header just missed wide right. That was the story of the game for Denver. They dominated play throughout the night, but they just couldn't break through and they couldn't force SMU's goalkeeper out of position. Finally extra time came and SMU was the team that finally capitalized on a great scoring chance in front of the net to win the game. 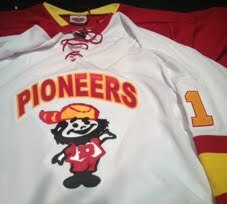 "When you put in the amount of work [the Pioneers] did, the more it hurts," DU coach Jamie Franks said after the game. "The reason why it hurts is, it's an honest effort. And anytime that you do have an honest effort like that, you can walk out with your head held high." Coach Franks told his players "I know it doesn't feel like that now, there's an emptiness in their stomachs, they're gutted, but the program will be stronger as a result." He's not wrong. 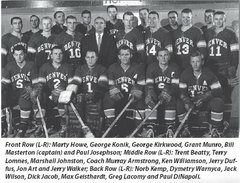 This year's Pioneers squad was the best Denver has ever seen. This was the first time in program history that they had advanced to the second round of the NCAA Tournament and they were the last remaining unbeaten team in the country. 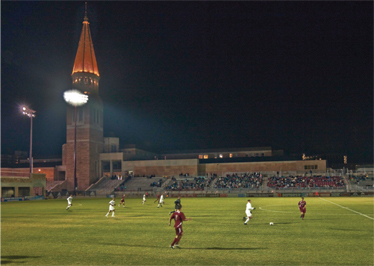 The college soccer world noticed and recruits saw what Denver can do on the soccer pitch. "Soccer is unfair. That's the reality of the sport." Coach Franks is right. The better soccer team lost tonight's match. 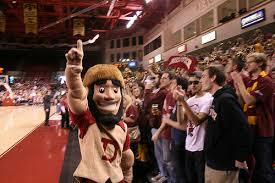 On paper, it should be DU getting ready to fly to Akron, Ohio to take on the #4 seeded Zips in the Elite 8. Instead, thanks to a lucky play for SMU down low in the penalty area, the team that was outworked, outhustled, and outplayed is moving on. Soccer is unfair. Sports are unfair. Yet that's why we love them. It's irrational. The future of this program is extremely bright. 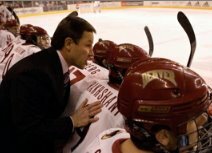 With the leadership of Coach Franks, there is little doubt that the Pios will be competing on the national stage for years to come. 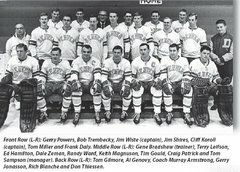 It hurts tonight, but the program is better now that it ever has been. 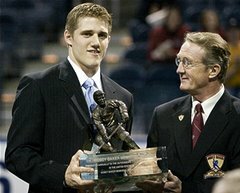 Notes: SMU goalkeeper Michael Nelson was the AAC goalkeeper of the year; Winning goal scorer Stanton Garcia played only 69 minutes; DU forced Nelson to make 6 saves on the night while SMU only mustered 2 shots on net, one of which was saved by Jackson; SMU committed 11 fouls on the night while DU committed 8; SMU received two yellow cards on the night (Jared Rice and Mauro Cichero) while DU was booked only once (Reagan Dunk); The Pioneers ended the year 15-1-3 in Coach Franks' first year as head coach; Tonight's loss ended the Pios' 29 match home unbeaten streak which was the longest active streak and the 11th longest in NCAA history. By any measure an epic season that might mean an additional 'featured sport' at DU. Their only problem during the season was not creating opportunities but finishing them. It finally caught up with them. This is still a young team full of upside. Don't like to say it, but the better team lost tonight. I was very impressed with the way DU plays---a very disciplined style. They use the whole field very well, and have good timing on the balls up the wing which generates most of their offensive chances. They showed some great skill on the wings, just working over the SMU defenders to get crosses over and generate corners. Unfortunately, no one was able to put them home, perhaps in part because SMU has some very tall players. Perhaps some unlucky bounces, too. Overall, DU played very well. But you just know that when you generate so many chances early on, and fail to capitalize, it will come back to haunt you. Main regret was how the play that gave smu the fateful throw in developed- a bad pass towards the sideline and not much of an effort by DU to chase down the ball before it went out of bounds. Hindsight is 20/20, but in that part of the field I would station a player right in front of the thrower as a distraction, instead if letting him place it where he wants unobstructed. I would also be interested to hear some comments on a potentially horrible non call in the first half. DU winger got taken down in the box after beating his man, seemed like an obvious PK to me that wasn't called. In any case, what an unbelievable season, really put DU soccer on the map. Disappointing end, but otherwise a dream season. 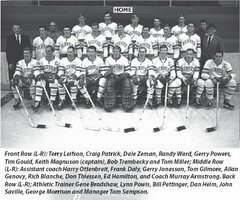 Another sports success story for DU. I am a DU fan of all sports and support all equally. To be honest, soccer is not my thing; DU soccer is the only soccer I watch. However, I watched the entire game closely and it was very exciting and well played by both teams. Honestly, best soccer game I've ever seen. It was actually nerve racking. 2 skilled teams and yes, DU had the far better of play. We had chances to finish off the Mustangs, but we couldn't get off any quality shots where the SMU goalie needed to make any great saves. SMU's goal was bang, bang, bang and no goalie in the world could have stopped the game winner. Great future for our program with almost all players returning. Fantastic year and we are certainly one of the best teams in the country. Soccer defeats are crushing way too often because of the low scoring nature of the sport. I totally appreciated the class SMU showed in victory. Perhaps only soccer players understand what a season ending overtime loss must feel like. It's worse then hockey because there are so few shot attempts. In 2013, DU tied Louisville, 0-0 on the road in the NCAA first round in double OT, but UL advanced on PKs. In 2014, DU outplayed Oregon State in Corvalis in the NCAA first round, but lost, 1-0. And last night, DU was dominant for 3/4 of the NCAA game, but lost in to SMU in OT, 1-0. This DU program has the skills to advance in the NCAAs, but seems to lack the finishing skills to get over the hump. 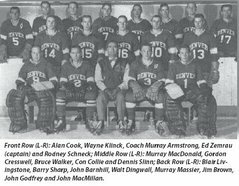 DU's best scorers are all back next year, and if the Pios can learn to finish in the big games, I think the rest will take care of itself.